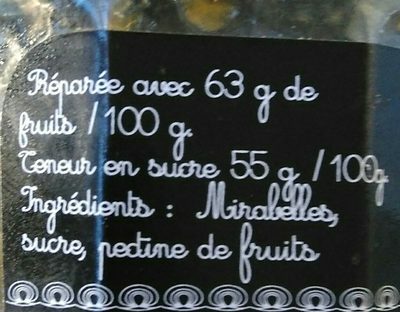 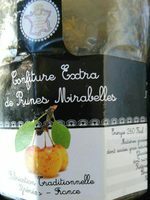 Mirabelles, sucre, pectine de fruits. Product added on August 10, 2018 at 8:17:01 AM CEST by kiliweb. 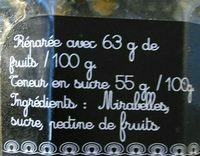 Last edit of product page on August 10, 2018 at 11:24:21 AM CEST by moon-rabbit.